Our total turn-around time is 8-9 business days (in laboratory and 2-way shipping time). Arrangements can also be made for rush cases. 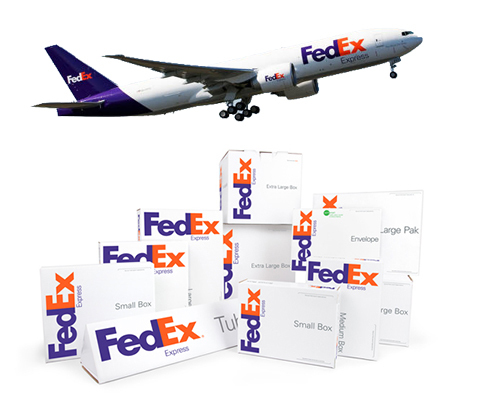 For logistics and customs regulatory reasons, please contact local FedEx courier (www.FedEx.com) to send us your package. They will provide you with international shipping documents - "Commercial Invoice" and "Air Waybill". You can also request for free shipping packages (e.g. Box, Pak). This document must be enclosed on the parcel for customs purpose. Please request this from FedEx. Company: Excel Dental Lab Co.,Ltd. * Goods or Commodity Description = "Tooth Model"
- Always use FedEx Pak for small-sized shipment up to 2.5 kg (5 lbs) because of lower shipping cost. - For larger-sized shipment or shipment weighing more than 2.5 kg (5 lbs), you can use FedEx Box or your own box (beware of dimensional weight). Mark Sender or Recipient in case you receive account number from us. For example, you are sending us 4 cases. 1 = Commodity Description: "Tooth Model"